Retailers in Clackamas, Marion, Multnomah and Washington counties and parts of Marion and Polk counties sell 7.8 psi RVP gasoline from June 1-September 15. All other areas require 9.0 psi gasoline from June 1-September 15. 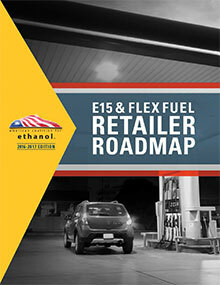 All gasoline sold in the state must be blended with 10% ethanol (E10). Gasoline with an octane rating of 91 or above is exempt from this mandate, as is gasoline sold for use in certain non-road applications. Gasoline that contains at least 9.2% agriculturally derived ethanol that meets ASTM specification D4806 complies with the mandate. For the purpose of the mandate, ethanol must meet ASTM specification D4806. The governor may suspend the renewable fuels mandate for ethanol if the Oregon Department of Energy finds that a sufficient amount of ethanol is not available. All diesel fuel sold in the state must be blended with at least 5% biodiesel (B5). For the purpose of this mandate, biodiesel is defined as a motor vehicle fuel derived from vegetable oil, animal fat, or other non-petroleum resources, that is designated as B100 and complies with ASTM specification D6751. Renewable diesel qualifies as a substitute for biodiesel in the blending requirement. In addition, diesel fuel blends sold between October 1 and February 28 may contain additives to prevent congealing or gelling. At any time, the Oregon Department of Energy may request a certificate of fuel analysis for biodiesel sold at any non-retail and wholesale biodiesel dealer.